The adventure begins in a small shed at the back of the family garden in Boulogne-Billancourt. Louis Renault, the fourth son of Alfred Renault – who had made his fortune making buttons – is passionate about all things mechanical. At the age of 21, he modifies a De Dion-Bouton tricycle, transforming it into a quadricycle by adding a fourth wheel. He also comes up with a completely new direct drive system which does away with the fan belt and chain drive, both of which are poor at leveraging the engine's output – which is still low. He files the patent on 9 February 1899, just as the Renault type A Voiturette – for which Louis has already received a number of firm orders as a result of the famous 1898 Christmas race on Rue Lepic – is going into production. On 29 February 1899, Louis' two brothers, Marcel and Fernand, invest their money and create Société Renault Frères, headquartered at 10, Avenue du Cours in Billancourt. The Type B Voiturette comes hot on the heels of the Type A model. 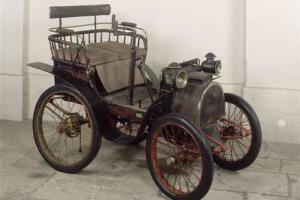 Built by the Renault brothers, the 1900 Type B is one of the first cars on the market to feature a roof and two doors. 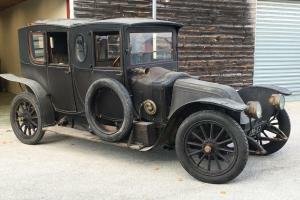 The National Car Museum owns a Type B and will be presenting it at Rétromobile in February. Just like the Type A, it incorporates a De Dion-Bouton engine, and its bodywork draws inspiration from the Hackney carriages which are still in service in large towns and cities. 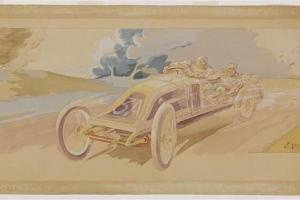 The following year in 1901, the brothers build a Type D, also incorporating a De Dion-Bouton engine. The model on show at the National Car Museum has undergone a number of changes, and was donated by the Marquis de Dion in April 1936. 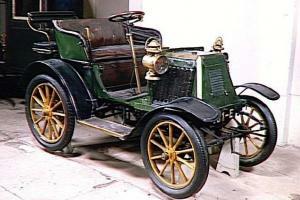 This is a reminder that De Dion-Bouton engines were used by the Renault brothers "from the start up until 1902-1903". These first three Renault cars had maximum speeds of 30 to 45 km/h. In August 1899, the Renault brothers realise that – if they want to generate some publicity for their company – they are going to have to take part in the motor races that are proving enormously successful among the general public and in the press. Right from the start, Marcel and Louis win a number of titles in the voiturette category, until Marcel is tragically killed in an accident during the 1903 Paris-Madrid race. Racing driver François Szisz then takes over the reins of the Renault stable. The brand's reputation is shored up as the Billancourt factories grow, while the Paris taxi company orders 1500 taxis fitted with the new mechanical taximeter. Following the death of Marcel and then Fernand retiring for health reasons, the Renault brothers dissolve the company and Louis renames it the Société des Automobiles Renault on 1 October 1908. 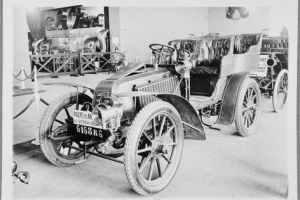 Louis is now the sole owner and innovation steps up as production increases: in 1907, Renault build 14% of all cars in France (179 cars in 1900; then an increase from 1179 to 5100 between 1905 and 1910). 1907, when the fourth Renault car from the National Car Museum – taken out exceptionally to go on show at Rétromobile – is built: this luxurious Type V limousine features bodywork designed by Million Guiet – one of Paris’ most famous coachbuilders. On the car's doors, the Bourbon-Parme family's coat of arms can be seen discreetly: the aristocracy adopts the car, but they keep a chauffeur. 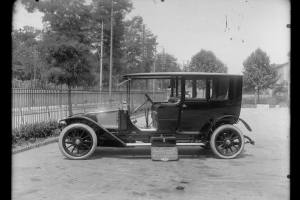 The Type V is Renault’s top-of-the-range model, and is built at the Billancourt plants between 1904 and 1908, as is the Type CC, built between 1911 and 1912. 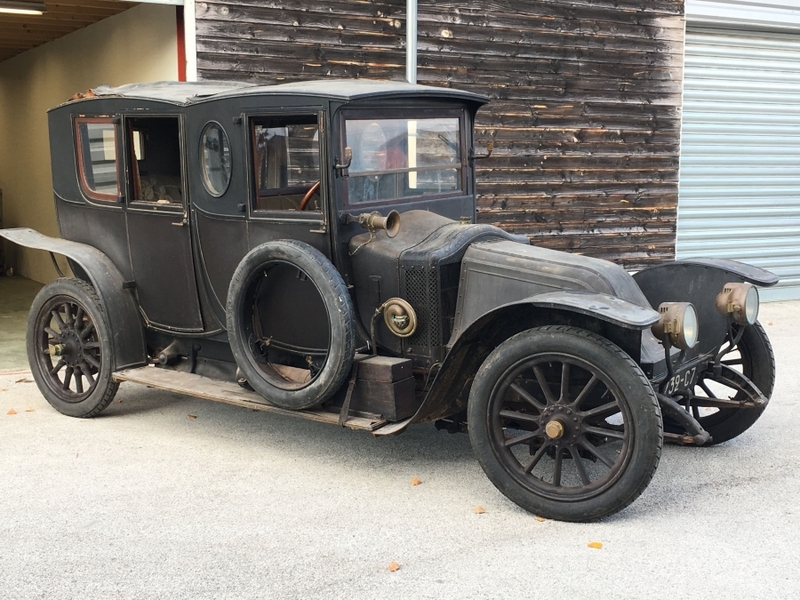 Similarly inspired by horse-drawn vehicles, the 1911 double limousine coupé – recently acquired by the National Car Museum – is representative of the luxury cars built by Renault before the First World War. The bodywork was designed by Kellner and son, a famous Parisian coachbuilder, the 4-cylinder engine was built by Renault and the interior harks back to the leatherwork of horse-drawn vehicles. This remarkable acquisition was made possible by the Ministry of Culture and Communication via the General Heritage Division and the Department for French Museums with support from the heritage fund. It is on display exclusively for the first time to members of the general public at the February 2018 Rétromobile show. 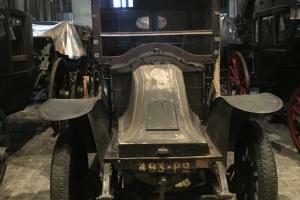 The authenticity of these two luxury Renault cars is one of the main essential characteristics of the National Car Museum's acquisition and restoration policy. Its collections are considered works of arts and are treated as such, representative of human creative genius. Here, the creative genius belongs to Louis Renault and his brothers and their teams, as well as to the French automotive industry at the start of the 20th century – which at the time was the most innovative in the world. 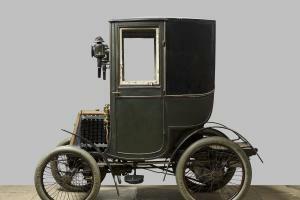 Double coupé limousine, Renault, type CC, 1911 (musée national de la Voiture).